A postcard from Russia, sent by postcrosser Diana Choloeva for flower tag in postcrossing forum. 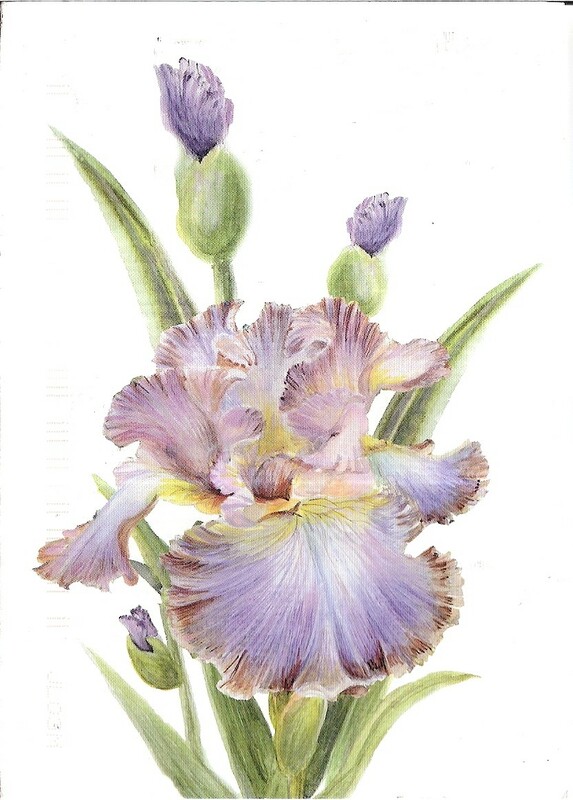 The postcard shows a beautiful drawing of iris. 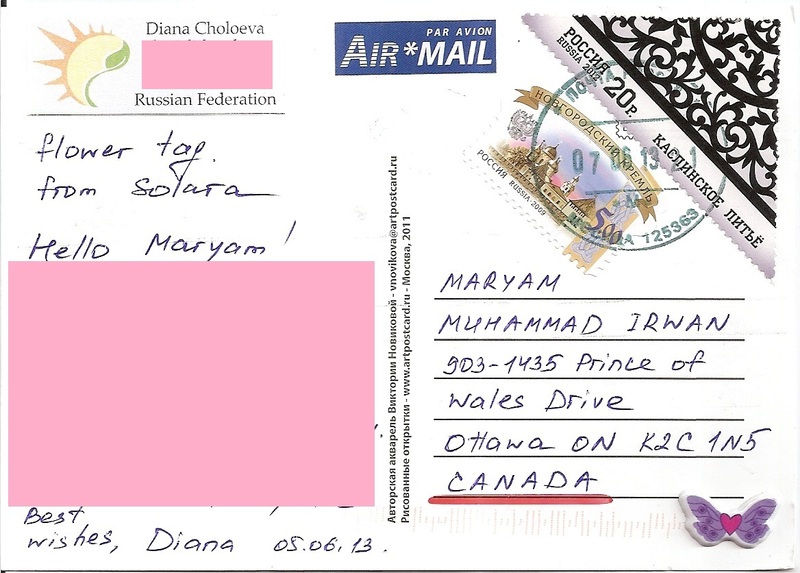 At the back, Diana affixed one definitive and one triangular stamp. 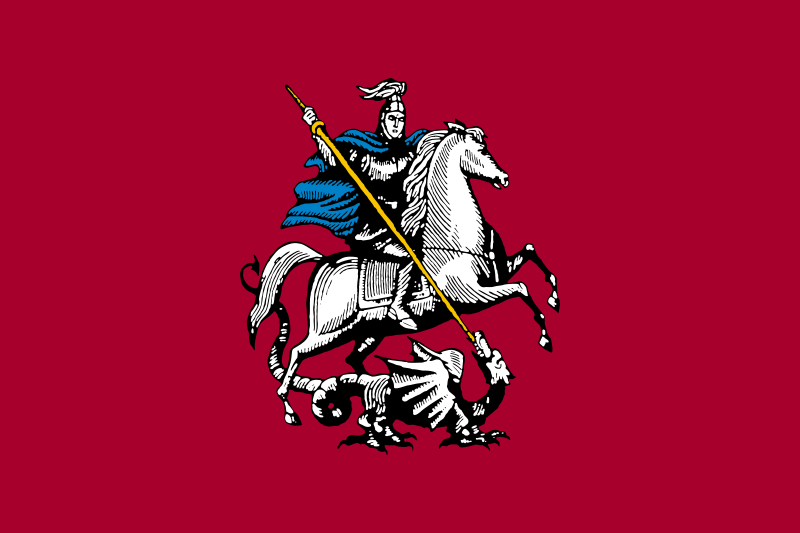 The postmark date is 7 June 2013 and the location is Moscow. Thanks a lot Diana!